Bracebridge cast with Squire Bracebridge (Michael McCarty) center. In 1927, the first Bracebridge Dinner was held at the Ahwahnee. The hotel had just opened and the Bracebridge pageant dinner was created to entice visitors to come to Yosemite in the winter. 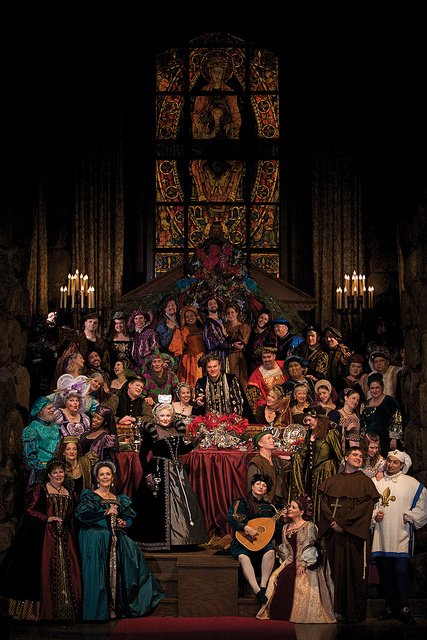 I attended opening night of Bracebridge last Tuesday, Dec. 13, and it was not only spectacular as a Renaissance pageant, the food was fabulous -- all seven courses. The Ahwahnee hotel restaurant is transformed into a 17th century manor for the show in which Squire Bracebridge invites guests to celebrate a seven-course holiday feast with his family. From 1929 to 1973, famed photographer Ansel Adams directed the Bracebridge Dinner (most often appearing as the Major Domo character). Eugene and Anna-Marie Fulton directed the show from 1973 to 1978 when their daughter, Andrea Fulton, inherited the mantle of director and producer. 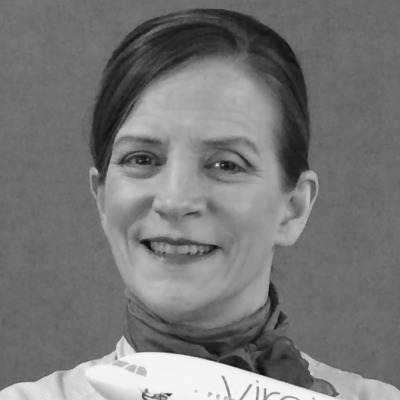 At age 5, Andrea made her theatrical debut in Bracebridge, and it has been a part of her life ever since. 2011 marks her 29th anniversary as Bracebridge's producer and director. Fulton also plays the leading role of the Housekeeper -- the best dressed, most commanding housekeeper that I've ever seen. She kept the hilarious Jester (or Lord of Misrule) in check, which is a challenging thing to do. 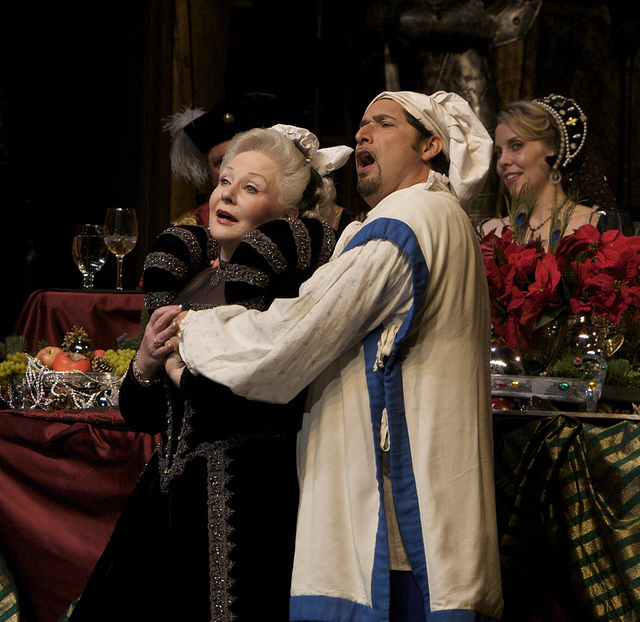 Andrea Fulton as the Housekeeper singing with Chef Pierre (Pedro Rodelas). Several guests told me that they had attended Bracebridge more than once. Now that there are eight performances, there is no longer a need to issue tickets on a lottery basis. Prior to 2001, people often waited years for their number to come up in the lottery, so they could dress up in their finest duds to attend the seven-course feast and show. I met the Executive Chef, Percy Whatley, the next day and learned that he began his career cooking at Yosemite as a burger flipper in Curry Village. Some folks, like Andrea Fulton and Percy Whatley, seem to grow up Bracebridge and Yosemite! Info: Bracebridge dinner, (801) 559-4884. And if you can't make it to Yosemite before Christmas, the Ahwahnee offers Chef's Holidays sessions in January. 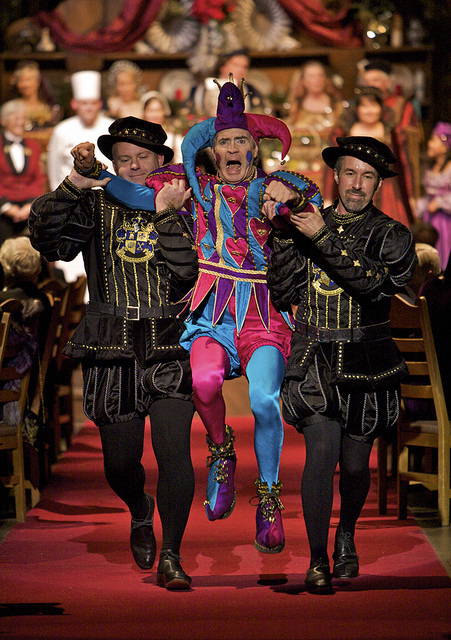 The Jester (Johannes Mager) gets carried off more than once. Disclosure: The Ahwahnee was kind enough to invite me to attend the dinner as their guest. I provided my own transportation to Yosemite.